The TTC has yet to prioritize its many competing projects. Photo by Peter Crock in the Torontoist Flickr Pool. Transit is a vital Toronto service with an insatiable hunger for money. 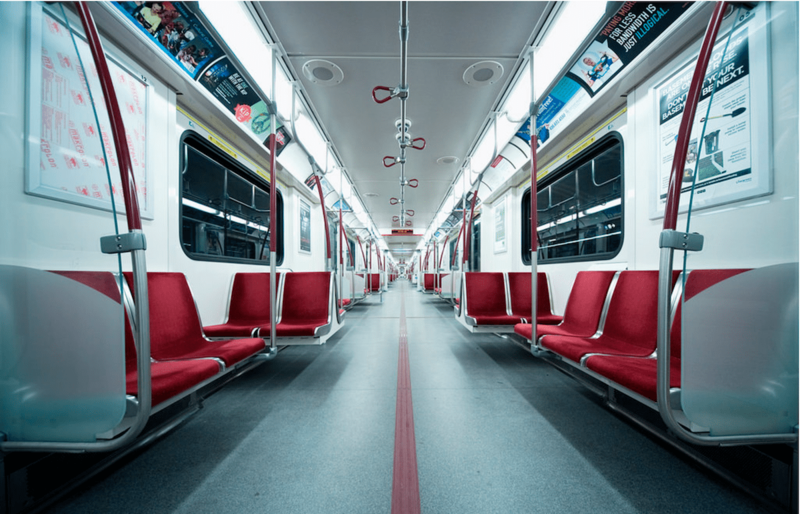 TTC’s budget committee met yesterday to consider a first cut at their next 10-year capital plan and how this might fit with the City of Toronto’s limited funding. To hear TTC management, all is well, at least in the short term. Spending plans for 2018 match available funding and, most importantly, the City-imposed limit on borrowing for transit projects. But over 10 years, available funding—monies that various governments have committed to provide—are about $2.8 billion short of the $9.24-billion plan. This gap between what the City will pay and what the TTC needs has been growing for years. It is only minimally offset by accounting prestidigitation that assumes the TTC will not actually spend all the money they are asking for. That shaves $420 million off of the total, but much remains. Groups 2 to 4 all contain a variety of facility upgrade projects to deal with aging infrastructure. Many of these have a relatively low cost, but collectively they are worth hundreds of millions. These are only a sample showing the largest or more important projects. These lists are growing because City Council has instructed the TTC that new projects cannot be added to the “base budget” without Council approval. This does not make the projects disappear. It only hides their cost by leaving them out of the official version of the capital plan. The only exceptions are projects that are deemed critical, or that do not start until the 10th year of the plan, far enough in the future that they have little effect on spending projections. One important change at the City is the imposition of a “stage gate” process where a project cannot even reach commitment to proceed until its design is sufficiently advanced to keep the risk of cost overruns low. This is a big change for those who prefer to sketch plans on napkins and worry about the cost later, but it also affects management who low-ball cost estimates simply to get political approval. A more rigourous process has its effects on both groups. Noble as this change may be, it is a recent addition to the process, and few projects have actually gone through it. The benefits will take a few years to materialize, and it is unlikely that pet projects will completely disappear from TTC plans even with dubious cost estimates. The second problem is that every project is presented as if it had equal importance in the overall scheme. The TTC Board previously asked that staff propose a prioritization scheme for projects, but this has yet to appear. A big issue is the meaning of “priority”—is a priority project one where “if we don’t do this, something will break,” or one where “if we don’t do this, I won’t be re-elected”? Even “break” can mean anything from annoying unreliability to complete collapse. Not only is a priority list missing, major project clusters (such as the planned renewal of the Bloor-Danforth subway) are scattered across multiple budget lines with no indication that they are related. Budgets can be deadly dull reading, and the documents can be daunting to a novice, including most members of the TTC board and Council. During the meeting it was obvious that members, and not a few management, were struggling with the details of this core TTC planning document. The budget committee itself cancels more meetings than it holds, and tends to review the budget in the heat of the moment when the whole document must be approved. Little surprise that few understand how it works. This is not just an exercise in good management theory, but an important part of planning for the City’s transit future. Without digging, it is almost impossible to learn how the budget relates to various initiatives councillors might like to see. Is there actually a provision for some change, or has a request simply been relegated to the “someday” pile? Are all components of a change present, or are there “oops,” missing pieces lurking in the budget that will delay policy changes? A good example lies in service quality and improvement. Within the 10-year plan, there is provision for only 99 new buses, to be acquired over the coming five years, dedicated for service improvements. Hundreds more may be purchased, but these will simply replace what is on the street today. Pressed to explain what these would be used for, management explained that they would mainly be spare service buses, “run as directed” as the TTC calls them, to fill in where necessary. Ridership Growth Strategy: a plan for building ridership with a more attractive transit system. This will require more vehicles, but the lead time to provision buses (not to mention build a garage to house them) can be several years. All the will to improve service can founder through a lack of capital resources. Bus Fleet Plan: related to the RGS or even to a “do nothing” approach to service. The TTC needs an updated view of its bus and streetcar needs, based on anticipated changes in demand, changing vehicle technologies and the shift of riders between modes as new LRT and subway services replace bus routes. Renewal Plan for the Bloor-Danforth Subway (Line 2): Separately from the Scarborough extension, the BD line is 50 years old and in need of major overhaul for track, signals, fleet and maintenance shops. As jobs and population return not just in the core area, but to other parts of the “old” city like Liberty Village, there is a growing demand for travel. What are the options for moving more people by transit in areas where streets are clogged with motorists? There is little provision for this in the capital budget. Other non-TTC projects (such as SmartTrack) compete for funding and these can elbow aside the more mundane, but badly needed, work on the existing transit system. A structural problem with the TTC budget comes from the age of the subway system. For decades, many components have used up their design lives and some parts of the system—track, trains, escalators—have been replaced once or more. Now with large segments of the subway over 40 years old, the bill is coming due on replacing major subsystems and structures. This effect is only dimly appreciated by members of the TTC board because only the highest priority subsystem—signalling—has attracted their attention through its cost and ongoing service interruptions. As written, the 10-year plan gives no indication of the magnitude and timing of effects from these issues and policy decisions that they could trigger. Money for transit projects comes from many sources including direct charges against taxes at all three government levels, from project-specific subsidies and from other levies such as development charges. In recent years, City finance staff have become more creative in their approach to financing capital needs, and this includes measures that could have unexpected consequences. One example is a scheme, advanced in the budget presentation, that the savings from “efficiencies” could be used to finance debt for capital projects. Suppose a new bus fleet is alleged to be more energy efficient and require less maintenance. These savings could help pay for the buses, even to the point of subsidizing a premium price. However, the savings must actually materialize and be sustained over the life of the debt. If they are not, then there is an unfunded cost. If the energy or maintenance savings don’t pan out, what pays down the debt? Problems with new bus technologies that failed to deliver on expectations (Compressed Natural Gas and Hybrids) are perfect examples. Recently, purveyors of electric buses have suggested that their extra cost could be financed through savings compared to diesel buses. If that approach is taken, the savings could be completely eaten up to offset the extra vehicle cost. More importantly, savings like these would normally offset rising operating costs. A new bus might use less fuel, or run forever without a tune-up. However, those savings will not translate to more service or lower fares because they will be scooped to pay down the debt. This is a subtle way to transfer capital costs to the operating budget and poach money that should be providing service or limiting fare increases. One large potential funding source is the second phase of the federal Public Transit Infrastructure Fund, but this is not yet a done deal. Details of the next phase of PTIF remain uncertain, and the current phase extends only to March 2019. For the City, there is a tricky balancing act. If PTIF money goes to a project that is now City-funded, then the City can recoup part of its contribution for use on other projects. However, if an unfunded project such as new trains for the BD line moves into the funded part of the plan, this requires net new City spending unless there are offsets elsewhere. The TTC’s plan gives no indication of which projects might be on their “wish list” for PTIF grants or how the timing of this funding would affect the staging of projects in the pipeline. The capital budget and plan passed by TTC’s budget committee is, at best, an outline of what capital spending could look like over the next decade, but it raises difficult questions about the number and scale of unfunded projects. This must be explored and explained in better detail to the full TTC board and to Council as it works through the 2018 budget. Much vital work does not lend itself to photo ops nor to election campaign slogans, but Toronto ignores the growing backlog of transit repairs and renewal at its peril.